 Brera Gallery: book your tickets now! Because at the Brera Gallery you will find the splendor of Italian art and the talent of some of its leading masters in more than 400 works. You can not miss "The Sposalizio della Vergine" (The Marriage of the Virgin) by Raphael, The Emmaus Dinner by Caravaggio, the "Ritrovamento del corpo di San Marco" (Discovery of the body of San Marco) by Tintoretto, the Dead Christ of Mantegna, the "Pala di Montefeltro" (Sacra Conversation) by Piero della Francesca and other wonderful works by artists such as Hayez, Van Dyck and Boccioni. In the courtyard of the Brera Palace is the bronze statue of Napoleon as Mars the Peacemaker by Antonio Canova. The Brera Gallery was established in 1809, even though a small number of works existed as early as 1776 with a didactic objective of the Academy of Fine Arts created by Maria Theresa of Austria. The first collection of works was turned into a museum at the request of Napoleon, when Milan was proclaimed capital of the Italic Kingdom. This museum was destined to expose all the works conquered by Napoleon's army. In the 1800s, with the suppression of a large number of religious orders, many paintings of the churches became part of the collection of the Gallery and in the same way, the collection was enriched with paintings from the different departments of the Kingdom of Italy. With the fall of the government of Napoleon, the Congress of Vienna established that the stolen goods had to be returned to the original owners and, therefore, also returned some works of the Pinacoteca. However, the growth of the collection continued thanks to private donations and in 1882 the Pinacoteca separated from the Academy. During the First World War, the works of the collection were taken to Rome and when they returned to Milan, the new exhibition was organized by Ettore Modigliani. 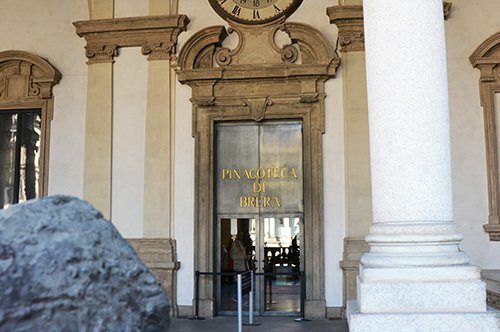 The Brera Gallery or Pinacoteca di Brera is an art gallery that exhibits collections of Italian painting, especially from the regions of Lombardy and Veneto. 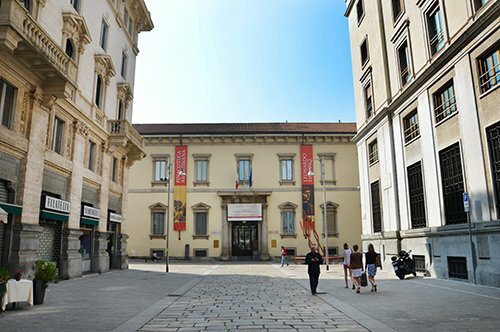 The headquarters of the Gallery is located inside the Brera Palace, where the National Library, the Observatory, the Botanical Garden, the Lombardo Institute of Sciences and Letters and the Academy of Fine Arts are located. The exhibited works are mainly pictorial and among the more than 400 works that enclose a historical artistic period that goes from the 14th century to the avant-garde, you can admire paintings by Raffaello, Caravaggio, Mantegna, Fattori, Bellini and Canaletto. Did you know that the Brera complex takes its name from the land on which it was built called "breda" or "braida" which means uncultivated land? From the word "braida" derives the term "braidense" that has been associated with the library. Currently, the Brera neighborhood in Milan is one of the most characteristic of the city. Did you know that one of the most famous paintings in the Pinacoteca is "Lo Sposalizio della Vergine" (The Marriage of the Virgin) by Raffaello? This work of great beauty portrays Mary and Joseph at the moment of the exchange of the wedding ring. Legend has it that all the suitors of Mary were given a stick, but the only one that flourished was the one of Joseph with whom she got married. In fact, in the first plane we can see painted one of the suitors who breaks his useless stick. By purchasing the tickets online for the Brera Gallery you can take advantage of the priority entry service. The Brera Gallery and the Pinacoteca Ambrosiana are two of the most important art galleries in Milan. 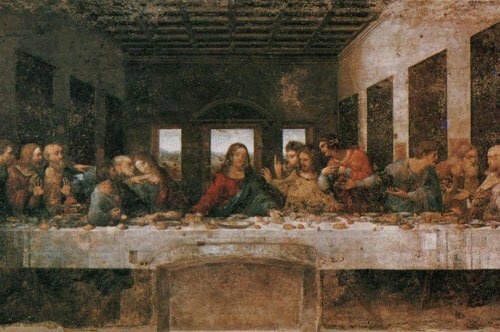 If you are passionate about Italian art, you can't miss the Last Supper by Leonardo da Vinci, a painting located in the refectory of the Convent of Santa Maria delle Grazie, which represents the moment when Jesus announces to the disciples that he would be betrayed by one of them. This work of art is one of the most famous Italian works in the whole world. 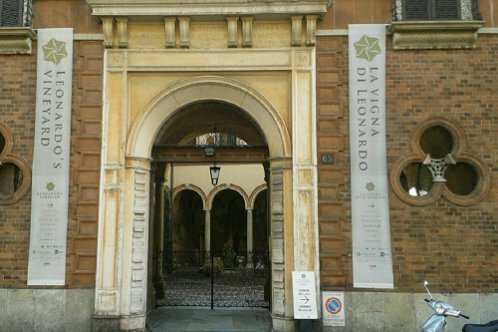 If you want to know more about the life of Leonardo da Vinci in Milan, also visit the Leonardo's Vineyard, a gift donated to the artist by Ludovico il Moro who cared for Leonardo throughout his life. 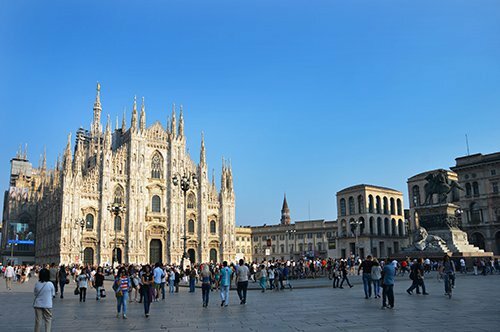 Visiting the city center, with the Map of Milan, you can first of all visit the Duomo of Milan, the main cathedral church of the city built in white and pink marble in a predominantly Gothic style and which is currently the symbol of this city. 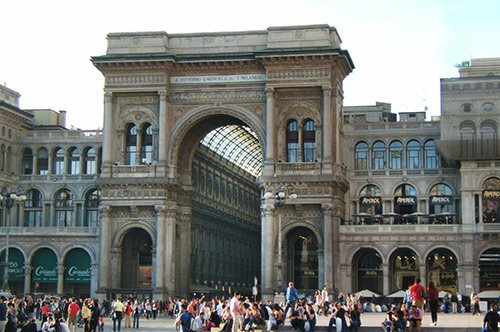 From the Piazza del Duomo you can reach the Vittorio Emanuele II Gallery, the "Salotto di Milano" which is now mainly a commercial gallery that maintains the charm of its Neo-Classical and Neo-Renaissance style. Also visit Piazza Mercanti, which was the political center from the city until the 18th century. Other important buildings in the city are the La Scala Theater, the Vittorio Emanuele II Gallery and the Sforzesco Castle, located within Sempione park, the largest park in the center of Milan; here is also the museum that houses the famous Rondanini Pietà by Michelangelo. On the other hand, if you are interested in works of contemporary art, visit Piazza degli Affari, where you will find the work L.O.V.E. acronym for "Freedom, Hate, Vengeance, Eternity" of Cattelan located in front of the Stock Exchange Palace. 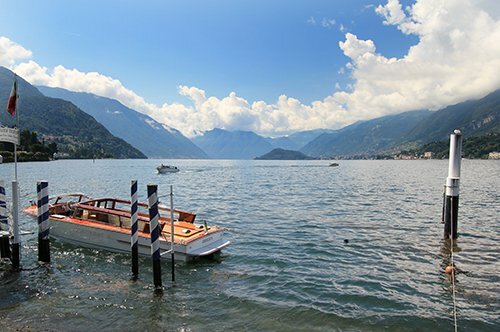 If you have time to visit the area around the capital of Lombardy, you can meet two other important cities in northern Italy, Turin and Mantova or take a trip to other small towns at the foot of Lake Como: Bellagio and Lecco or Visit Lake Garda and Lake Maggiore.